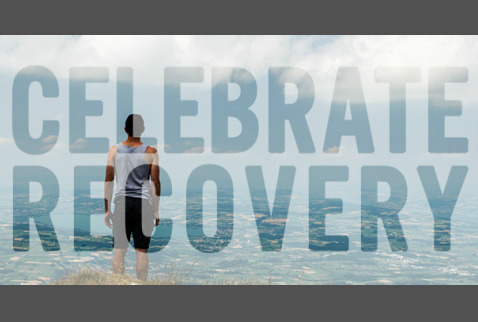 Celebrate Recovery is a biblical and balanced program that helps us overcome our hurts, hang-ups, and habits. It is based on the actual words of Jesus rather than psychological theory. It was designed as a program to help those struggling with all types of hurts, habits and hang-ups by showing them the loving power of Jesus Christ through a recovery process. CR is now in over 25,000 churches worldwide, and this year is its 25th Anniversary! This recovery program is for EVERYONE. We meet every Monday night at 6:30pm. CR is based on God’s Word, the Bible. When Jesus taught the Sermon on the Mount, he began with the Beatitudes. These eight principles are God’s road to recovery, wholeness, growth, and spiritual maturity. CR is forward-looking. Rather than wallowing in the past, or dredging up and rehearsing painful memories over and over, Celebrate Recovery focuses on the future. Regardless of what has already happened, the solution is to start making wise choices now and depend on Christ’s power to help you make those changes. CR emphasizes personal responsibility. Instead of playing the “accuse and excuse” game of victimization, this program helps people face up to their own poor choices and deal with what they can do something about. When you stop hiding your own faults and stop hurling accusations at others, then the healing power of Christ can begin working in your mind, will, and emotions. CR emphasized spiritual commitment to Jesus Christ. The 3rd principle calls for people to make a total surrender of their lives to Christ. Lasting recovery cannot happen without this step. Everybody needs Jesus. CR utilizes the biblical truth that we need each other in order to grow spiritually and emotionally. It is built around small group interaction and the fellowship of a caring community which would lead to spiritual growth. If you have further questions, please feel free to call Pastor Goran at 781-592-4722. Pastor Goran is our Associate Pastor who oversees our Counseling and Recovery Ministries here at Calvary. We want to build up the best recovery program on the North Shore of Boston. We are praying that we are going to see people set free from all kinds of sinful habits, hang-ups, addictions and hurts as they allow Jesus to be Lord in every area of their lives.